How happy were you the day you cancelled your cable TV or satellite TV contract and cut the cord? If we had to wager a guess, we’d say very, very, very happy. 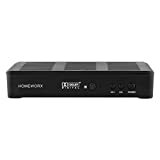 Well, prepare to be that happy again because the Mediasonic Homeworx HW180STB 3 / 4 Channel HDTV Digital Converter Box with Recording and Media Player is going to be the best thing that’s happened to you since that day you cut the cord. You’ll get all the DVR functionality back that you’ve been missing and it’ll only cost you $27. You really can’t go wrong. It’s important to note that this box doesn’t have any integrated storage, which shouldn’t be much of a surprise at $27. 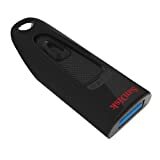 If you don’t already have an available flash drive or an external hard drive, we’ve got you covered below.